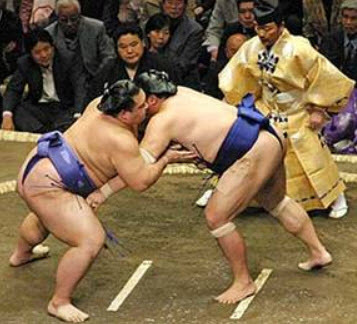 Japan has a sport called SUMO in which each person attempts to push the other out of an arena. We would not have much chance of competing! But we can have fun with a robot version of SUMO, in which each Robot attempts to push the other out of the rink. 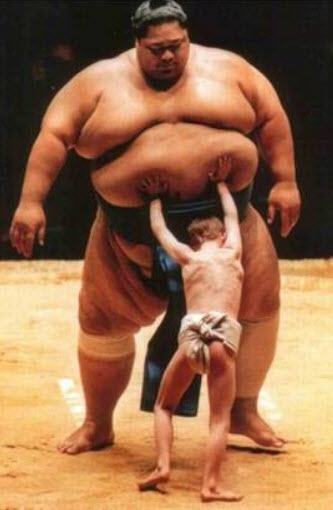 If we are learning alone, we can teach Fusion to push an object (e.g. a doll or monster) out of the rink. If you have access to an A1 printer, we make available a downloadable arena. White paper with a black tape surround (e.g. electrician’s tape from a hardware store) will also be fine. The downloadable arena will give us a rink of about 32 inches by 19 inches (approximately 800 mm by 500 mm), but any similar size would suffice, as long as the robots have room to manoeuver. 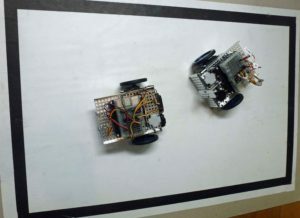 To enable our robot to play SUMO, we need to teach our Fusion Robot how to sense the edge of the SUMO arena. To detect the black line that surrounds the arena, we need to find out how to use Fusion’s Optical Distance sensor, which is the subject of the next tutorial.